This Easy chocolate brownie recipe can be the base for many different flavors. Brownies are a moist chocolaty treat, plus there are so many variations to change them up. The possibilities are endless. This recipe is a basic recipe and I will share things you can add to them at the end of this post. I have a few more brownie recipes below. I always like to bring something to parties I go to and since the kids are home right now they also like a treat now and then. Plus I make so many cupcakes, they like it when I do something different. Melt 1 Cup morsels and butter in large, heavy duty saucepan over low heat, stir until smooth. Remove from heat. stir in eggs. Stir in flour, sugar, vanilla extract and baking soda. Stir in remaining morsels and nuts. Spread into prepared baking pan. or a combination of any of these ingredients. Do you love brownies as much as I do? Do you like to make them out of a box or by scratch? You can take a box mix and also add in some of the above extra ingredients. I enjoy baking from scratch so that’s what I do mostly, but I know there are some of you readers that are in a hurry or don’t have the right ingredients when you need them. But I suggest you try making these by scratch one time at least. Another fun pan to use is this Brownie pan. It lets you have end pieces on all four sides. They are like your own individual treat, perfectly like the next one. I know we all like the end pieces. 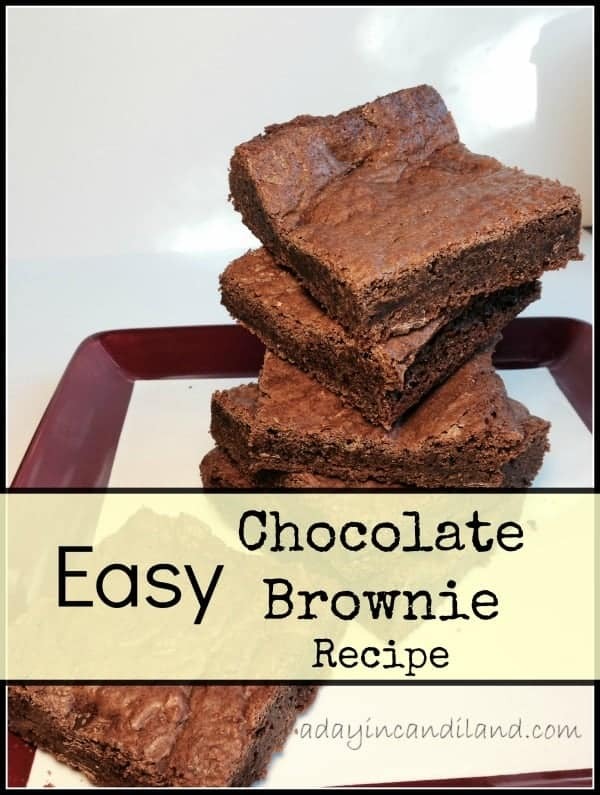 Enjoy your easy chocolate brownie recipe, and you can also top those off with whipping cream or ice cream. Cute blog and these look so good!! Yummmm! These are baking now! Can't wait to taste them. I hope you enjoy them and maybe added some extra treats to them. These are delicious! I added a bit of orange dark chocolate (I had a half bar in the pantry) and it is soooo good! 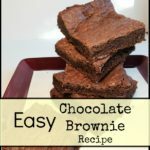 This is now my go to recipe for easy brownies. Oh that sounds great, I have added some wild orange olive oil into it and its great. Thanks Cassie for stopping by my blog. Have a great weekend. 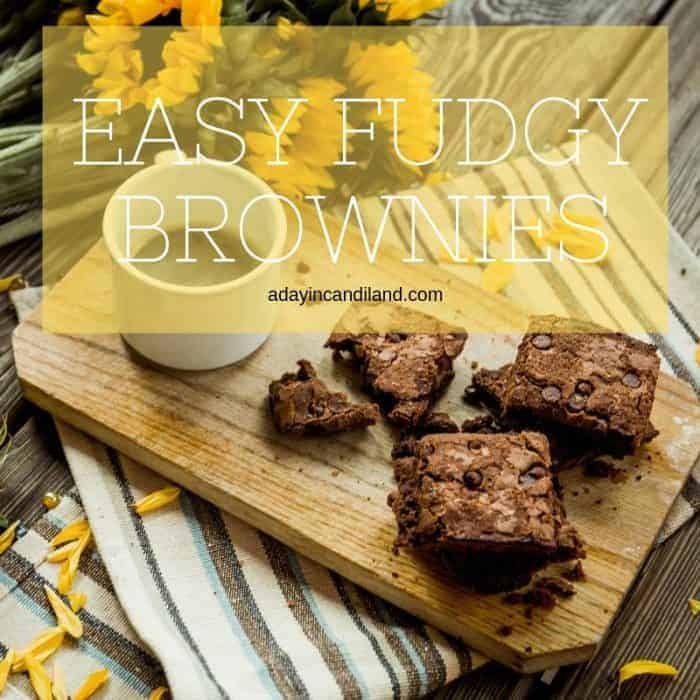 I love brownies and there is no reason to make them from a box when there are so many ways to make them from scratch so easy. Great flavors. Thanks Heather, I agree, there are so many ways to make them. why not? 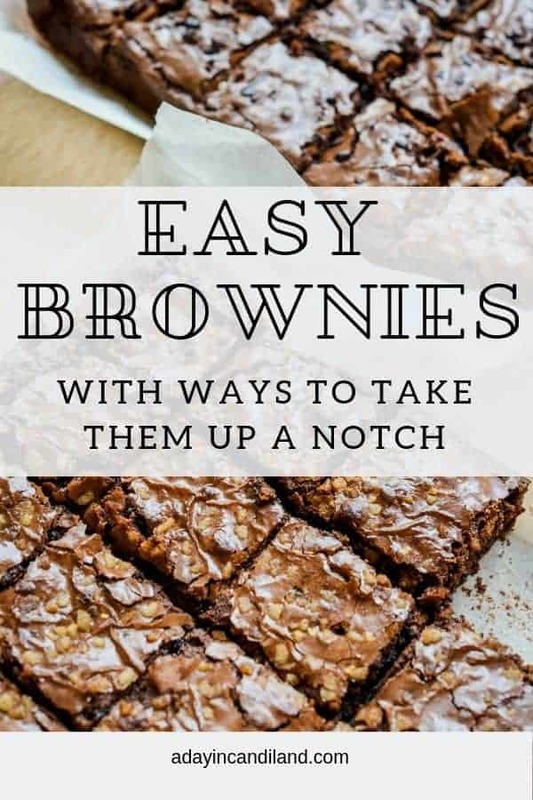 Everyone needs a good brownie recipe. This looks like just the ticket! Thanks for sharing! My recent post Slow Cookin’ Summer Crock-Pot Casserole Crock GIVEAWAY! Thanks Christina, thanks for also stopping by. Hope you have a great weekend. These look yummy! Thanks for sharing! They are really good, just enough chocolate to get you going. Yummy! Nothing beats a great brownie. I love brownies and it doesn't matter what kind. They are all good. Looks easy and yummy! Thanks for sharing at the Bloggers Brag Pinterest Party. These look really good! THanks for sharing, anything "easy" is for me! Nothing like brownies to make a statement. My mom says a cook can be defined by how good their brownies are! Thank you for sharing! These are mouthwatering. Like my mouth literally watered. I will take two please. Yum! These look amazing. I don’t know anyone who wouldn’t love these in my family. Thanks!